We are located in Fort Mill, SC. Zipblock products are not being manufactured yet. We presently possess some very desirable proprietary mold creation technologies that allow us to create all the molds required to produce all the products illustrated on our products page. The molding technologies that we have developed are extremely low cost and and yield precision parts. 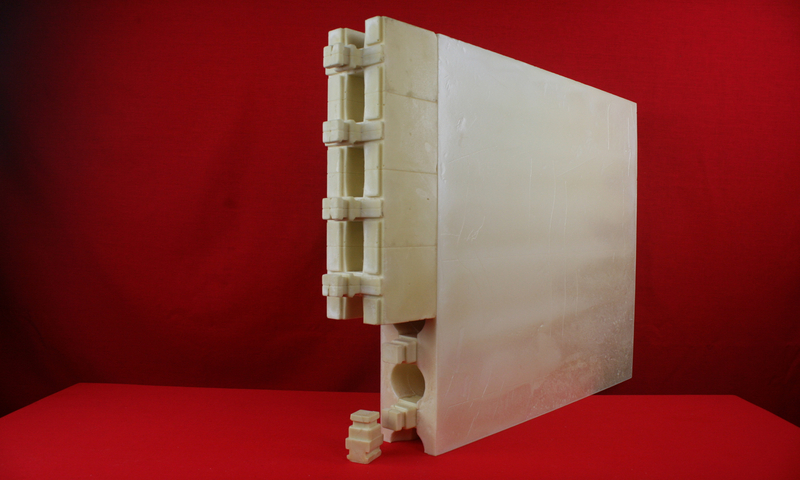 Post initial master mold development costs of approximately $1k to $20k, we can produce production molds at costs of around $250 (small parts) to $5000 (very large panel molds). With our molding technology you do not have to spend millions of dollars on high tech equipment that requires you to run a high volume 24/7 operation to recoup the costs of your investment. You don't need highly paid and skilled maintenance personnel. Our system is simple. The more capacity that you want, the more molds, polyurethane dispensing machines, and people that you'll want. A Zipblock factory doesn't need to be any more any more complicated than a bakery. Just fill your molds, let them cure for a few minutes, extract the parts, and then repeat the process. People to open, close, and fill molds. There are of course, more requirements, but this covers things at a very high level. Please use the below form to contact us if your are interested in partnering with us.